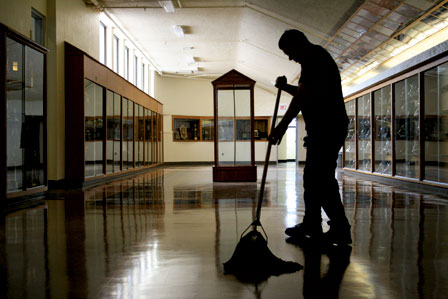 What Are the Top 7 Most Important Trends for Janitorial Cleaning Companies in 2016? - American Cleaning Services. Inc.
No one has a crystal ball but it is important to know what you can expect in the upcoming year. What that means is that you want to make sure that you are able to have access to the best business options in the current economy. There are many changes and policies that need to be anticipated as well that can make a huge change in the cleaning industry. You will want to make sure as well that you are aware of all of the options that are out there for contract cleaners. There are many businesses for sale and that means that there are businesses that are going to be offered that have not been offered before. Changes in overtime laws: There have been many options that are being put in place as well that will be implemented. What that means is that there is going to be a higher price for overtime. Healthcare Changes: With the Affordable Care Act there are also many new options that will give people access to the best options as well for their healthcare. This also will affect the employees that you have as well. There are many new technologies: There are tons of new technologies out there as well that will allow you to be able to take a payment anywhere. Changes is sustainability: there are many new options that are out there as well that mean that it is possible to have access to better profits, more green options and profits for the business. This has changed everything about the sustainability of the company. Collaboration in the workplace: There are many new options out there for you that will mean that you will be able to work with others and can for cleaning groups which are made up of companies together and ensure that you are able to have access to the best options together. Cyber security is a major threat! There are many things such as viruses and other problems that you need to be aware of. That means that you are going to need to make sure that you take all of the precautions to have access to the best options for your company so that you will not fall victim to the scams and to the other issues out there. When you own a company you need to make sure that you are able to know that there are many options out there and that you need to have access to the best options for your company. When you have many new ideas about the way that you want your company to go, you want to know that it is possible to have access to the news and the upcoming trends that will continue to redefine your life as well as to redefine your business. There are many trends that you need to be aware of to make sure you are always in the black. You want to make sure that you are working with commercial janitorial cleaning in New Jersey, who will be able to help you to have all of your needs handled for your company.